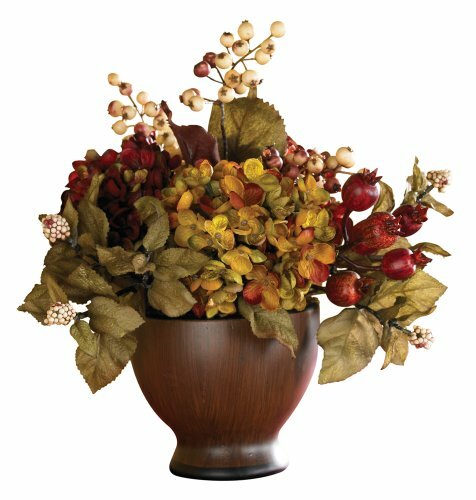 A trio of different-colored pumpkins will add just the right amount of color and charm to your Halloween-inspired display. 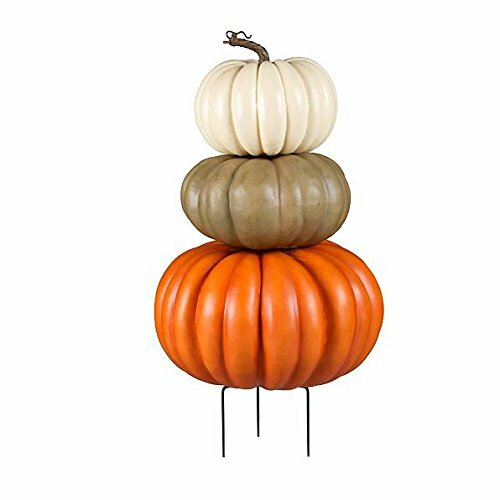 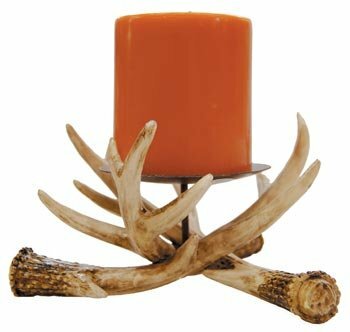 This ascending-sized stack of orange, sage green, and beige faux pumpkins comes with attached stakes. 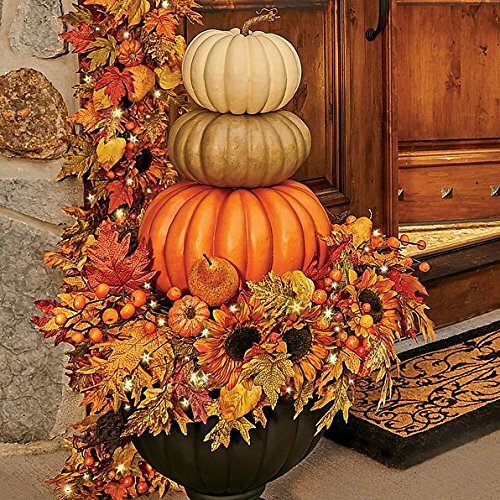 Add these Halloween pumpkins to an urn by your front door for a grand harvest entrance.